In addition to a digital camera, a digiscoping kit comprises a spotting scope with eyepiece and advisably an adapter and a tripod with a balance rail. The Vortex Razor HD with good light-gathering qualities is a favourite with digiscopers. Your telescope should have a good optical system with bright and true-colour image reproduction – don’t forget that the image which comes out of the eyepiece is stored on the digital camera’s CCD sensor! A smooth focusing ring allowing fine adjustments will be particularly important when capturing images with high magnification. Please also ensure that your scope is waterproof, robust and lightweight and that there are some adapters suitable for digiscoping available for it. Your decision regarding the type of eyepiece and the magnification power may also affect the quality of the images you will capture. Most digiscopers use a zoom eyepiece with 20x to 60x magnification, as they also use the scope for observation and want to be as flexible as possible with respect to magnification. As digiscoping becomes more difficult as the magnification increases, some digiscopers use fixed wide-angled eyepieces with 20x or 30x magnification as these have a larger field of view and may possibly have a slightly better optical system, given that it is designed for a single magnification rather than for a specific range of different magnifications. Adapters should be matched perfectly to your scope and its eyepiece. Aligning the camera with the spotting scope is the main purpose of a digital camera adapter, but the adapter also has two other functions – to attach the camera securely to the spotting scope and to limit stray light from entering the camera lens and interfering with proper exposure of the image. Test the adapter to make sure you can use it quickly and easily. When out in the field you might have not much time to get your camera in position and take the shot! 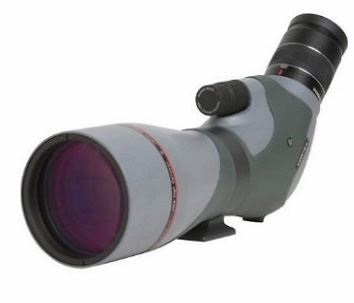 Swarovski Optik’s digiscoping products combine the superior optical performance of Swarovski Optik telescopes with the advanced features of your digital camera. The innovative DCB Digital Camera Base, the tried and tested DCA Digital Camera Adapter or the TLS 800 telephoto lens system for digital or classic SLR cameras which connect the ATS or STS telescopes to your camera form the ideal system for taking true-colour photographs. The tripod is an important requirement for sharp, contrast-rich images when taking photographs, much more so than when observing. Optimum stability makes a significant contribution to image quality. There are different types of tripods available for different applications. At high magnifications the image is very sensitive to motion and the slightest shake will result in a blurred picture. Keep the tripod legs and centre column as low as possible when shooting, so that they absorb what is known as microshake (vibrations) more efficiently. A wooden or carbon-fibre tripod will absorb vibrations more efficiently than an aluminium tripod although the two drawbacks here are weight and cost respectively. Another alternative is a weight bag – an accessory that hangs below the centre column and may be filled with rocks, sand, etc. to provide additional cushioning of vibrations. The tripod head plays an important role. The smoother the movements the tripod head makes, the easier it is to frame and lock on the shot. The Swarovski Optik balance rail ensures an optimum centre of gravity for the telescope, eliminating camera shake.